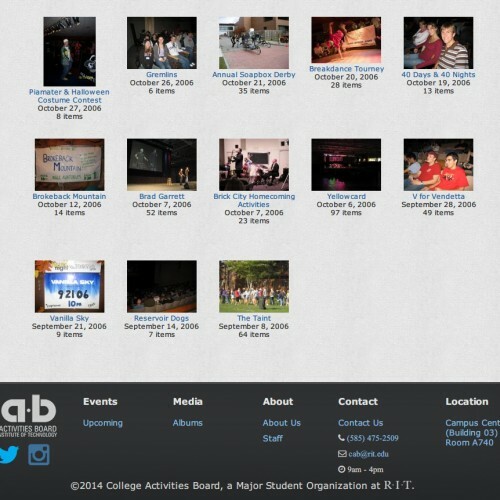 At RIT, the College Activities Board is responsible for creating a diverse array of entertainment and events for students on-campus. 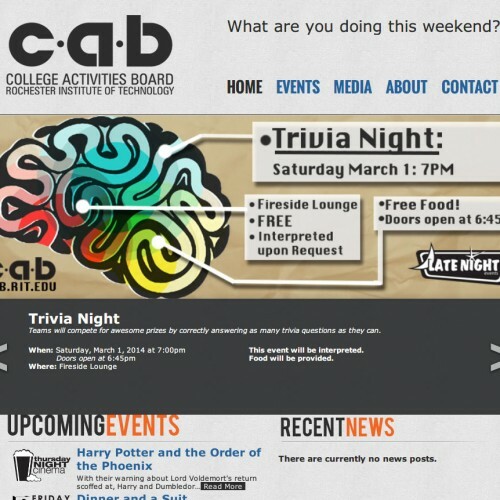 CAB is a team of students that formally plans and executes events, which range in size and venue from painting pumpkins during Halloween to major concerts, hosting artists such as Macklemore and FUN. 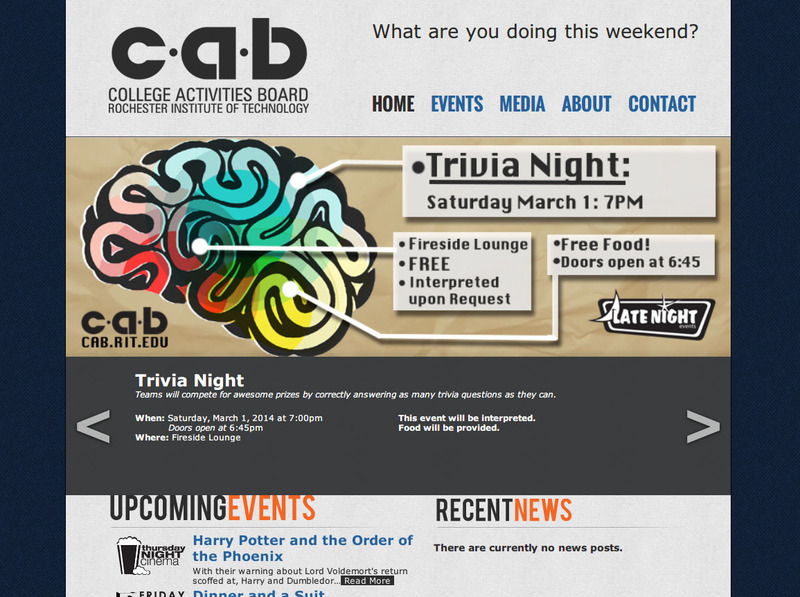 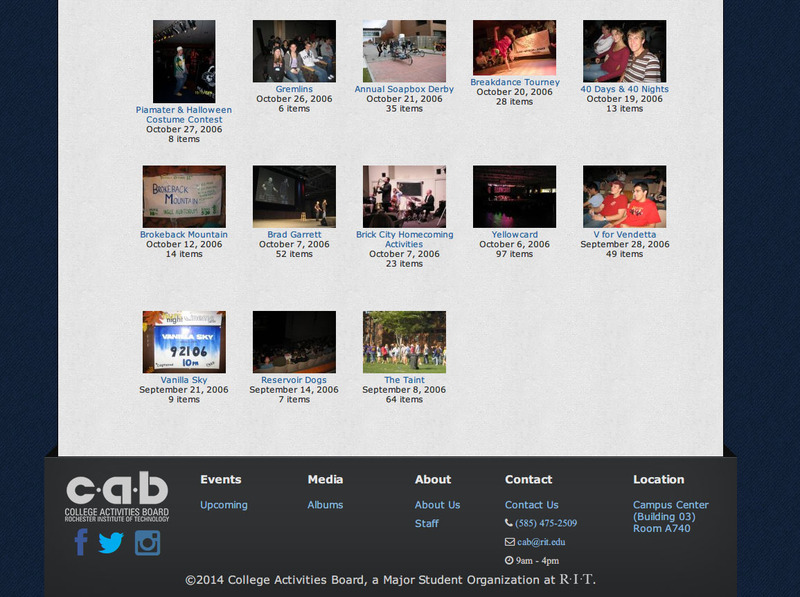 The website connects students with events, information about CAB itself, and as a bridge to CAB’s social media presences.